Celebrate Passover with family and friends. 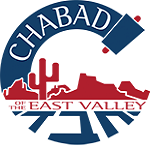 Join our local communal Chabad seder. Prepare a Haggadah – the primary text and guide for the seder. Download or buy one. Lead your seder like a pro! Learn your part, and have the children practice the four questions. Review the basics of the meaning and rituals of Passover. Kids are the highlight of the seder. Help them get ready with games, videos and crafts. Watch a talk from the Rebbe about Passover. Be sure to share the inspiration with others. Invite another Jew or two to your seder table. In the end, don’t forget that the inner message of this holiday is to attain true liberty in body and soul, allowing us to rise above our inner limitations. Sell any chametz you want to keep for after Passover. Buy handmade shmura matzah for your seder table. Clean your home so it won’t have any chametz in it before Passover. Search the house with a candle on Thursday night, March 29 th. Then burn what you find on Monday morning.